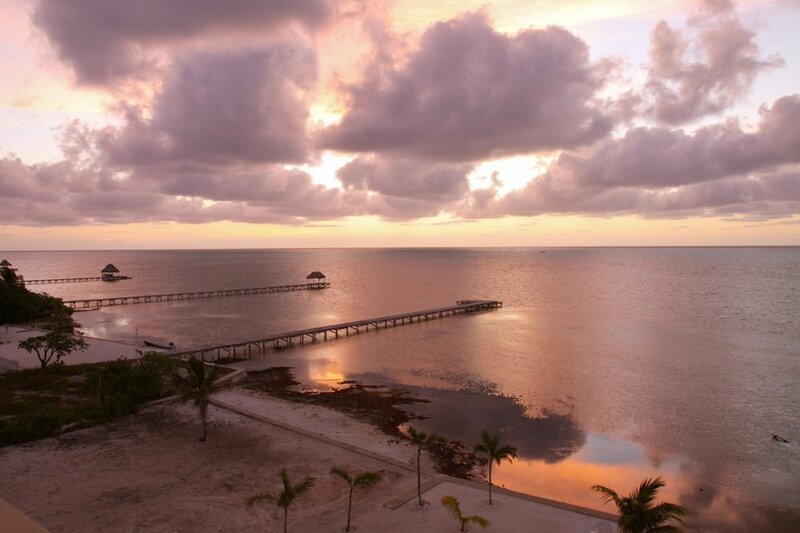 Take a southbound turn down the Mexican coast to Belize. Mexico’s English-speaking southern neighbor has been a low key tourists’ gem for some time—filmmaker Sofia Coppola, who owns a holiday home there, is one well-known fan—offering a colorful hybrid of Latin and Caribbean cultures set against a backdrop of deep blue water and wild tropical foliage. Belize is one of the easiest countries to travel through. That’s in part thanks to the famously hospitable Belizean people, but also the close proximity of its cities—connected through a network of small planes operated by just two local airlines, Maya Island Air and Tropic Air. In the island’s town of San Pedro, both visitors and locals use golf carts to get around the narrow, cobblestoned streets. You will find plenty of Dive shops, and for non-divers, snorkeling tours at the Hol Chan Marine Reserve and Shark Ray Alley will still provide ample opportunity to swim alongside (totally harmless) sharks, stingrays, and sea turtles. On your last day, fill up the tank on your golf cart and drive up to the secluded Secret Beach on the northern end of the island, making a stop at the Austin, Texas-inspired Truck Stop beer garden, housed in repurposed shipping containers. By night, explore surrounding restaurants and bars: stop at the Elvi’s Kitchen for a traditional Belizean dinner of Caribbean chicken and coconut curry, the over-the-water pub Wayo’s for a pint of the local Belikin beer, and later in the night, Fido’s for a live-music party with locals under a seaside palapa. Be warned: they party pretty late in San Pedro, and you don’t want to miss your flight the next morning—or maybe you do. •	Just 10 minutes from Mahogany Bay Village lies one of the most popular diving and snorkeling sites in all of Belize. Home to the Belize Barrier Reef, the largest living barrier reef, it has become a rich habitat, thriving with diverse varieties of marine life. Roam the hills of coral to find cryptic lobsters filling tunnels and even large schools of circling jacks, snappers and barracuda. Shark Rally Alley has been named one of the seven best "animal dives" in the Caribbean. Experience the true novelty of gliding through the sea alongside neighborly nurse sharks and southern stingrays. •	The Belize Lamanai Mayan Ruins Excursion is easily considered one of the best excursions in Belize for a variety of reasons. This Belize City Excursion is simply magical. Lamanai is one of the largest Mayan sites in Belize, expanding over a huge expanse on the Belize New River, the Lamanai Mayan Center holds over 800 structures deep in the Tropical Forest. Lamanai (Submerged Crocodile in Mayan) was occupied as early as 1500bc, the small onsite museum where your Lamanai exploration begins once on the site holds precious artifacts spanning well over 2000 years of Mayan History. •	The Great Blue Hole remains one of the top attractions in Belize. 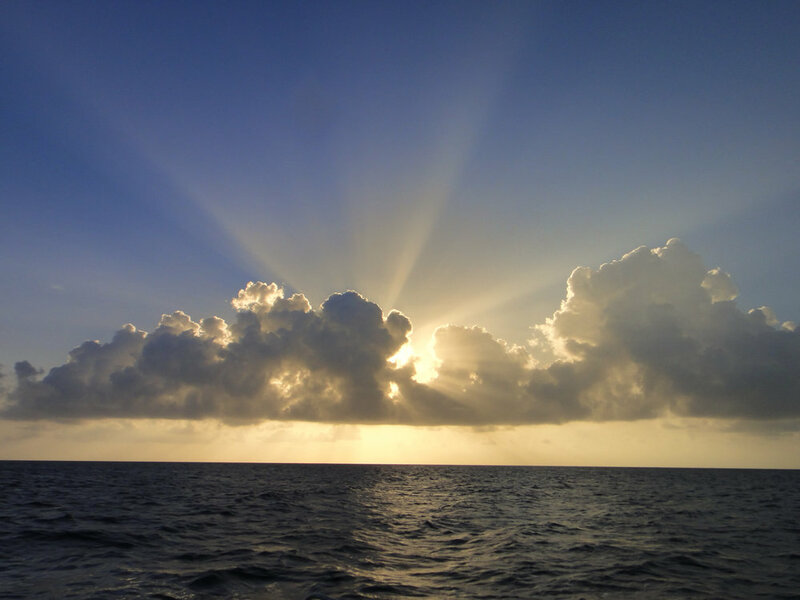 It is not only a world class destination for diving but also a rich habitat for a variety of marine life like nurse sharks, reef sharks, black tip sharks and even giant groupers. The hole is circular in shape and has over 300 meters across and 125 meters deep. It is the world’s largest natural formation of its kind and is part of the Belize Barrier Reef System. Belize is a gorgeous country with a lovely subtropical climate, making it a joy to visit year round. The average high temperature year-round is 84° F (29°C), though it is possible to get slightly cooler in winter, with temperatures as low as 60°F (16°C) possible at night. Like most subtropical and tropical countries, Belize has two main seasons, not four: wet and dry season. The dry season is from January to May, with far less rain than the rest of the year. June through December is the wet season, with frequent rain and a potential for hurricanes. There is some regional variation in temperatures. 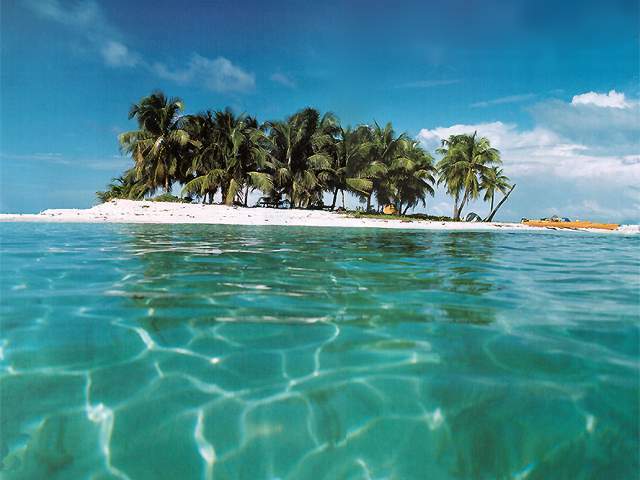 The cayes of Belize will be hot and sunny, with a bit of an ocean breeze and incredibly high humidity. Meanwhile, the interior will be far cooler but also a bit more humid due to all the lush vegetation. The interior is more likely to rain than the islands. Depending on where you go in the country, you may want to adjust your Belize packing list accordingly (more cool weather clothes and sneakers if you go inland, more sandals, dresses, and coverups if you stay on the islands of beaches). •	Mosquito repellent: Due to its tropical climate, Belize has tons of mosquitos, especially in the rainy season and just after it. •	Basic medicine: You will be able to find everything you need in Belize, but it’s best to be prepared. I carry Pepto-Bismol for standard stomach troubles, Imodium as a nuclear option, some sort of painkiller like Ibuprofen for headaches and minor aches, and some sort of motion sickness tablets. •	Some cash in USD: Just in case your debit card doesn’t work or gets lost, it’s helpful to have dollars on hand. Because the exchange rate is 2 Belize dollars to 1 US dollar, it’s common for establishments to accept USD as payment as well. We know that traveling can be an exciting time, but it can also produce many questions regarding what documents you may need for your travels. In general, visitors to Belize must possess a passport, valid for at least three (3) months after the date of arrival. Nationals of some countries do not currently need visas to travel to Belize: the United States of America, Canada, Argentina, Brazil, Chile, Colombia, Panama, Costa Rica, South Korea, Mexico, Israel, the United Kingdom. Many other countries (aside from the list above) also enjoy visa free travel to Belize.